To see How Learning English teaches other languages, scroll down and visit any of the links shown below. This page features a list of the 100 most common words in English, alongside their Danish translations. 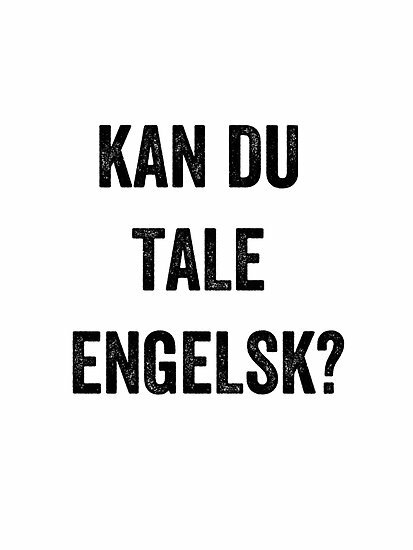 Danish is one of several European languages whose words and phrases look and sound somewhat similar to English words and phrases. For a more about How Learning English teaches other languages, try the Google Translate program, available free online. Shown below are some common phrases in English, with their Danish translations provided. hvor kan jeg få mad? Kan du direkte mig til ...?